The CDC estimates at least 17 million people have gotten the flu this season. Getting vaccinated and avoiding contact with others are some of the steps you can take to prevent the spread of viral and bacterial infections. But one of the most important steps is also one of the simplest. TUCSON, Ariz. - In the height of flu season, registered nurse, Gloria Lucana can see more than ten sick patients each day. To avoid getting herself and others sick, she does one very simple thing between patients. That’s because a typical hand can harbor over 150 different species of bacteria. Of course, there’s an easy solution, but The Centers for Disease Control and Prevention, or CDC, recommends washing your hands in a very specific way: First, wet your hands with clean running water, close the tap, then apply a generous amount of soap and begin rubbing your hands together. “Rub in between fingers, in each finger...and then tip of your fingers go against your palm and then you also have to wash also your nails," says Lucana. Scrub the top of your hands and your wrists. Do this for at least 20 seconds. If you don’t have a clock nearby, sing the “Happy Birthday” song twice. “Soap and friction can help lift dirt, and grease, and germs, including ones that cause disease from your hands so you can easily rinse them off under running water," says Roberts. Dry your hands with a paper towel or air dry them. If using a paper towel, use it to close the faucet. 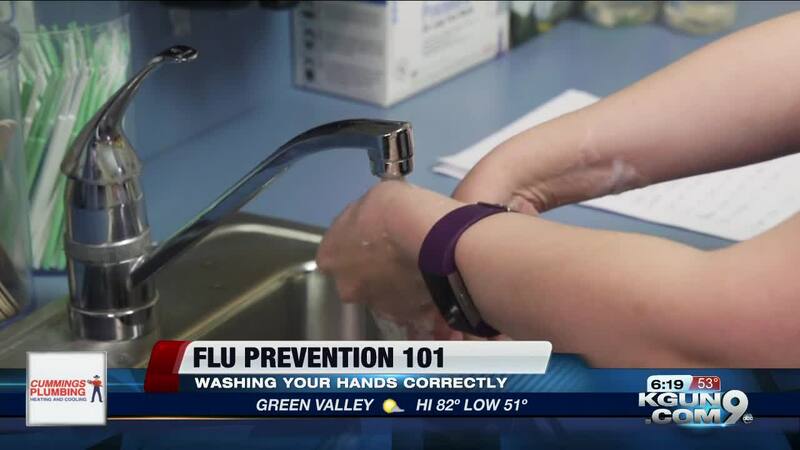 The CDC says washing your hands with soap and water is the best way to reduce germs on the hands. But if soap and water are not available, you should use a hand sanitizer with at least 60% alcohol.